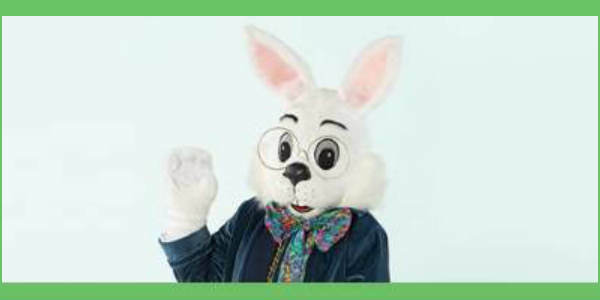 On Sunday, March 11, The Florida Mall’s Caring Bunny™ event will offer families that have children with special needs a subdued environment to participate in the Bunny Photo Experience. From 9 – 11am, many steps will be taken to reduce sensory triggers, creating a more comforting environment for children’s cherished visit with the Bunny. Characters from the upcoming movie, Hop, are set to make an appearance at Universal Studios. To promote the film, which comes out April 1st (no fooling! ), the characters will be at the theme park from March 7 to April 5, 2011, to take pictures with the guests. 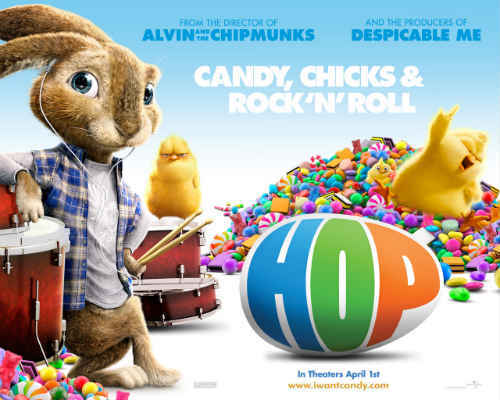 The tagline says the movie is about “Candy, Chicks and Rock’n’Roll,” but it’s really a story about the teenage son of the Easter Bunny (voiced by actor Russell Brand) who has dreams of being a drummer instead of going into the family business. He meets up with an out-of-work slacker (played by James Marsden) and the two room together. It’s part animated, part live-action.